Match ends, Sparta Prague 3, Inter Milan 1. Second Half ends, Sparta Prague 3, Inter Milan 1. Matej Pulkrab (Sparta Prague) is shown the yellow card. Felipe Melo (Inter Milan) wins a free kick in the defensive half. Foul by Matej Pulkrab (Sparta Prague). Attempt missed. Mauro Icardi (Inter Milan) right footed shot from more than 35 yards is high and wide to the right. Borek Dockal (Sparta Prague) wins a free kick on the right wing. Attempt missed. Éder (Inter Milan) right footed shot from the centre of the box is close, but misses to the right. Assisted by Mauro Icardi with a through ball. Substitution, Sparta Prague. David Lafata replaces Ales Cermak. Attempt saved. Mauro Icardi (Inter Milan) header from the centre of the box is saved in the bottom left corner. Assisted by Éder with a cross. Attempt saved. Vaclav Kadlec (Sparta Prague) right footed shot from outside the box is saved in the bottom right corner. Assisted by Borek Dockal. Attempt missed. Vyacheslav Karavayev (Sparta Prague) right footed shot from outside the box is too high. Assisted by Lukas Julis. Corner, Inter Milan. Conceded by Daniel Holzer. Vaclav Kadlec (Sparta Prague) is shown the yellow card for a bad foul. Rodrigo Palacio (Inter Milan) wins a free kick in the attacking half. Foul by Vaclav Kadlec (Sparta Prague). Lukas Julis (Sparta Prague) is shown the yellow card for a bad foul. Ivan Perisic (Inter Milan) wins a free kick in the defensive half. Foul by Lukas Julis (Sparta Prague). Goal! Sparta Prague 3, Inter Milan 1. Mario Holek (Sparta Prague) header from very close range to the bottom left corner. Assisted by Ondrej Mazuch with a headed pass following a set piece situation. Second yellow card to Andrea Ranocchia (Inter Milan) for a bad foul. Matej Pulkrab (Sparta Prague) wins a free kick on the left wing. Corner, Sparta Prague. Conceded by Cristian Ansaldi. Substitution, Sparta Prague. Matej Pulkrab replaces Michal Kadlec because of an injury. Attempt missed. Felipe Melo (Inter Milan) right footed shot from outside the box is high and wide to the right. Assisted by Éver Banega. Goal! Sparta Prague 2, Inter Milan 1. Rodrigo Palacio (Inter Milan) right footed shot from the centre of the box to the bottom right corner. Assisted by Éder. Substitution, Inter Milan. 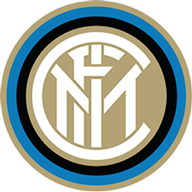 Mauro Icardi replaces Assane Demoya Gnoukouri. Substitution, Sparta Prague. Lukas Julis replaces Martin Frydek because of an injury. Corner, Inter Milan. Conceded by Michal Kadlec. Substitution, Inter Milan. Ivan Perisic replaces Antonio Candreva. Attempt saved. Rodrigo Palacio (Inter Milan) left footed shot from the left side of the box is saved in the centre of the goal. Assisted by Jeison Murillo. Corner, Sparta Prague. Conceded by Felipe Melo. Ales Cermak (Sparta Prague) wins a free kick on the right wing. Attempt missed. Éder (Inter Milan) header from the centre of the box misses to the left. Assisted by Antonio Candreva with a cross. Martin Frydek (Sparta Prague) is shown the yellow card for a bad foul. Senna Miangue (Inter Milan) wins a free kick in the defensive half. Michal Kadlec (Sparta Prague) wins a free kick in the defensive half. Substitution, Inter Milan. Cristian Ansaldi replaces Danilo D'Ambrosio. Foul by Borek Dockal (Sparta Prague). Corner, Sparta Prague. Conceded by Éver Banega. Attempt missed. Andrea Ranocchia (Inter Milan) header from the centre of the box misses to the left. Assisted by Antonio Candreva with a cross following a corner. Attempt missed. Vaclav Kadlec (Sparta Prague) left footed shot from a difficult angle on the left is too high. Assisted by Michal Kadlec. Attempt blocked. Borek Dockal (Sparta Prague) right footed shot from outside the box is blocked. Michal Sacek (Sparta Prague) wins a free kick in the attacking half. Attempt missed. Vyacheslav Karavayev (Sparta Prague) right footed shot from the right side of the box is close, but misses to the right. Assisted by Daniel Holzer with a cross. Vaclav Kadlec (Sparta Prague) wins a free kick in the defensive half. Second Half begins Sparta Prague 2, Inter Milan 0. First Half ends, Sparta Prague 2, Inter Milan 0. Foul by Ales Cermak (Sparta Prague). Attempt missed. Michal Sacek (Sparta Prague) right footed shot from the centre of the box is too high following a set piece situation. Foul by Senna Miangue (Inter Milan). Attempt missed. Éver Banega (Inter Milan) right footed shot from outside the box misses to the left. Foul by Michal Kadlec (Sparta Prague). Vaclav Kadlec (Sparta Prague) wins a free kick in the attacking half. Offside, Sparta Prague. Martin Frydek tries a through ball, but Michal Sacek is caught offside. Offside, Inter Milan. Éver Banega tries a through ball, but Rodrigo Palacio is caught offside. Éder (Inter Milan) wins a free kick on the left wing. Offside, Inter Milan. Andrea Ranocchia tries a through ball, but Rodrigo Palacio is caught offside. Corner, Inter Milan. Conceded by Ales Cermak. Foul by Daniel Holzer (Sparta Prague). Corner, Sparta Prague. Conceded by Jeison Murillo. Offside, Inter Milan. Antonio Candreva tries a through ball, but Rodrigo Palacio is caught offside. Éver Banega (Inter Milan) wins a free kick in the defensive half. Offside, Sparta Prague. Michal Kadlec tries a through ball, but Vaclav Kadlec is caught offside. Offside, Inter Milan. Éver Banega tries a through ball, but Éder is caught offside. Goal! Sparta Prague 2, Inter Milan 0. Vaclav Kadlec (Sparta Prague) right footed shot from the right side of the box to the bottom left corner. Assisted by Martin Frydek with a through ball following a set piece situation. Martin Frydek (Sparta Prague) wins a free kick in the attacking half. Attempt missed. Andrea Ranocchia (Inter Milan) header from the centre of the box misses to the left. Assisted by Éver Banega with a cross following a corner. Attempt blocked. Antonio Candreva (Inter Milan) left footed shot from the right side of the box is blocked. Assisted by Éver Banega. Vaclav Kadlec (Sparta Prague) wins a free kick on the left wing. Andrea Ranocchia (Inter Milan) wins a free kick in the defensive half. Foul by Mario Holek (Sparta Prague). Éver Banega (Inter Milan) wins a free kick in the attacking half. Foul by Michal Sacek (Sparta Prague). Goal! Sparta Prague 1, Inter Milan 0. Vaclav Kadlec (Sparta Prague) right footed shot from the centre of the box to the bottom left corner. Attempt saved. Vaclav Kadlec (Sparta Prague) left footed shot from the left side of the box is saved in the centre of the goal. Offside, Sparta Prague. Vyacheslav Karavayev tries a through ball, but Borek Dockal is caught offside.